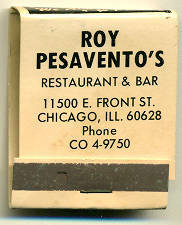 Matchbook from Roy Pesavento's Restaurant in Roseland. Address is shown incorrectly as 11500 E. Front Street; the correct address was 11500 S. Front Street. Pesavento's closed in the mid-late 1970s. Description Matchbook from Roy Pesavento's Restaurant in Roseland. Address is shown incorrectly as 11500 E. Front Street; the correct address was 11500 S. Front Street. 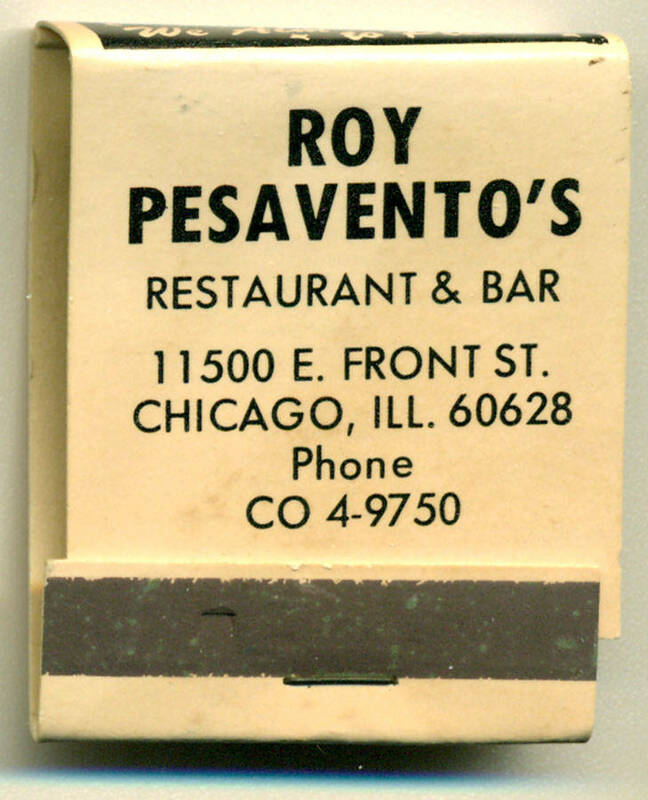 Pesavento's closed in the mid-late 1970s.